Discussion in 'Strategic Defense' started by SampanViking, Mar 29, 2015. BRI is not only about building ports, roads and railways. More on this story. Great potential for future trade relationship when fully developed. Four trucks each carrying 12 to 15 metric tons of fruits and two cross-border buses carrying dozens of passengers started their journey from Northeast China's Dalian, Liaoning province, on Friday toward Russia's Novosibirsk, marking the official launch of TIR, the global customs transit system, in China. "The Dalian-Novosibirsk route is currently China's longest international road transport route, connecting 19 cities of both countries," said Liu Xiaoming, vice-minister of the Ministry of Transport. It is the first international road transport route that has commenced trial operations after China joined the TIR Convention in 2016, an international system that significantly reduces the time and cost of crossing borders. The vehicles are expected to reach Novosibirsk on May 26, traveling 5,500 kilometers - 1,800 km in China and 3,700 km in Russia. Liu said the new route will promote the effective integration of China's Belt and Road Initiative with the Euroasian Economic Union as well as economic and trade exchanges between the two countries. 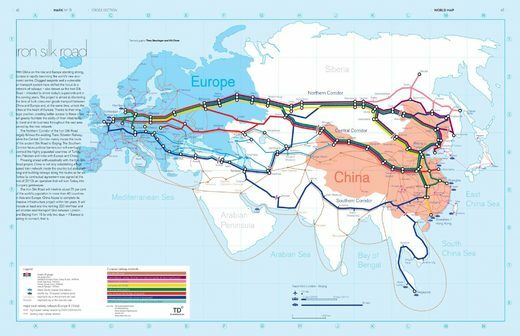 Umberto de Pretto, secretary-general of the International Road Transport Union, said the new route for international trade between China and Russia will encourage participation by other economies along the Silk Road Economic Belt. Two Chinese transport companies and a Russian company participated in the first operations of the new route. On Thursday, they signed agreements at the Bangchuidao Hotel in Dalian for the trial operation of Dalian-Novosibirsk international road freight and passenger transport. Equipped with cold chain technology, they will mainly transport Dalian's fruits to Novosibirsk and bring back cold drinks. "It is door-to-door transportation. The trucks can drive to the gate of local supermarkets. It's more convenient than train transport," said Liu Shaobo, general manager of Heilongjiang Longyun Group. Due to different railway track standards in the two countries, train transport takes longer and costs more, he said. taxiya, Equation and PanAsian like this. China and the Eurasia Economic Union (EAEU) on Thursday signed an agreement on trade and economic cooperation, the first major systematic arrangement ever reached between the two sides. The document was signed by Chinese Vice-Minister of Commerce Fu Ziying, Chairman of the Board of the Eurasian Economic Commission (EEC) Tigran Sargsyan and representatives of the EAEU members at the Astana Economic Forum that kicked off on the same day. The agreement covers 13 aspects such as customs cooperation, trade facilitation, intellectual property rights, sectoral cooperation and government procurement, including new topics like e-commerce and competition. China and the EAEU agreed to further simplify procedures of customs clearance and cut costs of trade in goods by strengthening cooperation and exchange of information between each other. The agreement is expected to take effect as early as the beginning of 2019. Marking a new stage where China's trade and economic cooperation with the EAEU has upgraded from being driven by projects to being guided by rules and regulations, the agreement is seen as a milestone in driving the integration of the Belt and Road Initiative and the EAEU framework. It is expected to help further reduce non-tariff trade barriers, create a better environment for industrial development and promote the in-depth development of economic and trade relations between China and the EAEU. Established in 2015, the EAEU groups Russia, Kazakhstan, Belarus, Armenia and Kyrgyzstan. In May 2015, top leaders of China and Russia signed joint declarations on integrating the construction of the Silk Road Economic Belt and the framework of the EAEU. In October 2016, China and the EAEU started one-year negotiations on trade and economic cooperation, during which five rounds of talks, three meetings of joint working groups and two ministerial consultations were held. davidau, taxiya and Equation like this. 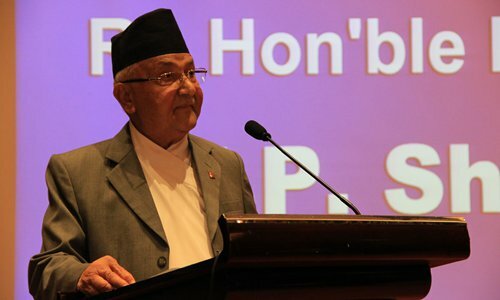 Nepal attaches great importance to Tibet, because this region has frequent trade and energy cooperation with Nepal, said Zhao Gancheng, director of the Shanghai Institute for International Studies' Center for Asia-Pacific Studies. mr.bean, davidau and Equation like this. 4 navires spécifiques, 269 hectares de terre crées sur mer en 6 mois au Sri Lanka, on comprend mieux comment les Chinois ont bâti leurs fortifications en mer de Chine méridionale. 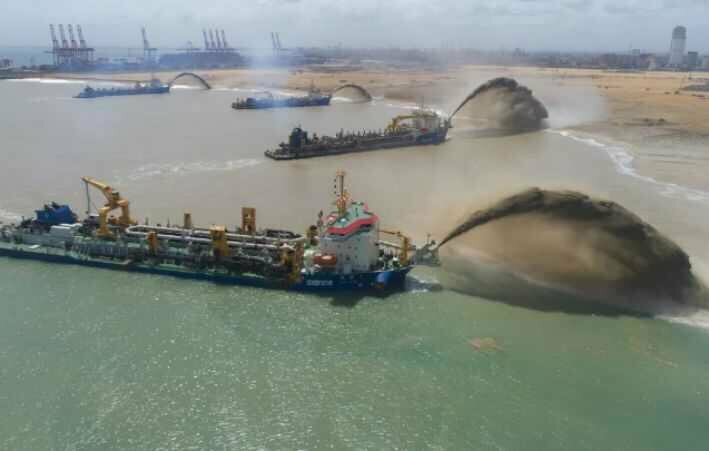 4 specific vessels, 269 hectares of land created on sea in 6 months in Sri Lanka, we understand better how the Chinese built their fortifications in the South China Sea. zealotaiur485, Equation and mr.bean like this. Thank you Theo Deutinger & Kit Chow for creating this beautiful Iron Silk Road Map. Click link to zoom in. Equation, advill, taxiya and 3 others like this. In a curious twist to Sri Lanka’s famous “debt trap”, Colombo has approached New Delhi and Beijing in panic to help it somehow meet the unprecedented foreign debt obligations. Eyebrows will be raised. How come Beijing? Yes, it is about Beijing helping Colombo to tackle its real “debt trap” – namely, repayment of maturing loans in the region of $20.9 billion between 2019 and 2022, which Sri Lanka owes to international capital markets. The fact of the matter is that China accounts for only about 10% of Sri Lanka’s external debt of $64 billion as of end-2018. The biggest portion of Sri Lanka’s foreign loan portfolio is in dollar-dominated international sovereign bonds, accounting for almost 50% of Sri Lanka’s total external debt. The remaining debts are to Japan, India, the Asian Development Bank and the World Bank. Last Thursday, the governor of Sri Lanka’s Central Bank Indrajit Coomaraswamy told a public forum in Colombo that both Reserve Bank of India and the Bank of China, which initially offered to provide $400 million and $300 million respectively – India through a currency swap deal and China through a bank loan – may be scaling up their respective offers to $1 billion each. As he put it, “Sri Lanka’s friends, the two regional giants, have stepped up to support us in this time when we were pushed into a rather difficult corner.” What a delightful irony! The immediate requirement was for Colombo to pay back a $1 billion international sovereign euro-bond by dipping into foreign exchange reserves. Colombo’s attempts to raise funds from the international bond market have failed. By the end of 2019, Colombo faces the spectre of a record debt of $ 5.9 billion that must be met. The country’s foreign reserves will be severely depleted if India and China do not help out. Plainly put, Sri Lanka’s so-called Chinese “debt trap” is actually disinformation with the mala fide intention to bring China into disrepute, especially by those quarters for whom the Belt and Road Initiative is an eyesore. The fact of the matter is that, ironically, China is emerging as Sri Lanka’s lender of last resort. Bank of China opened an office in Colombo last year to help Sri Lanka whose attempts to raise dollars from international capital markets are not succeeding due to the country’s poor rating by the western ratings agencies, which has raised the cost of international borrowing. For instance, Fitch moved Sri Lanka from B+ to B, which leaves it just four notches above default status. Quite obviously, India and China have appeared on the same page to bail out Sri Lanka from “debt trap”. India has two swap arrangements with Sri Lanka – a bilateral one and a second within the SAARC framework. As for China, Sri Lanka finds it advantageous to borrow from China because the interest rate is very low at 2%, compared to international sovereign bonds where the interest rate hovers around 6.3%. All in all, it appears that Sri Lanka doesn’t face a Chinese debt situation at all. The Indian analysts should take note. Of course, this does not mean that there is no rivalry for influence between India and China. India has regarded Sri Lanka as its “backyard” but Chinese presence is expanding worldwide and in South Asian region, too, and India visualizes that Colombo’s comfort level with the Chinese partner is enviable. Yet another reality that gets overlooked is that Sri Lanka’s financial difficulties are largely self-inflicted. And it is not really the legacy of former President Mahinda Rajapaksa alone but of successive governments over time. In fact, Sri Lanka resorted to reckless international borrowing through past decades. Of course, the political instability due to the civil war conditions played its part as well. Curiously, the US is doing nothing worthwhile to help Sri Lankan economy by way of investments or trade. Washington’s focus is on the power calculus in Colombo and the geopolitics of Sri Lanka. The primary attention last year was on the efficacy of transforming Trincomalee Port as a logistics hub of the US Navy. Actually, the IMF even made it difficult for Sri Lanka to raise money in the international markets by freezing its final payment of a $1.5 billion bailout dating back to 2016. Simply put, the Western narrative that China seeks to push India out of Sri Lanka has an ulterior agenda of pitching India against China in a fight for influence in Colombo. The American lobby in India is not unaware of it but blithely plays it part in the Indian media. India can and should disengage from the Western narrative. At least those sections of the media, which have the resources and acumen to think and analyze the politics of our neighborhood from an Indian perspective, should refrain from lapping up the Western narrative. At the end of the day, history, geography, politics and culture dictate that India will forever remain Sri Lanka’s most important partner country. No amount of Chinese investments in Sri Lanka can change that geopolitical reality. Besides, no Sri Lankan politician will ever accept Chinese hegemony, either. The number one priority today for India ought to be Sri Lanka’s political stability and development. From such a perspective, India should make use of the Chinese investments in Sri Lanka by participating in the projects such as Mattala airport. 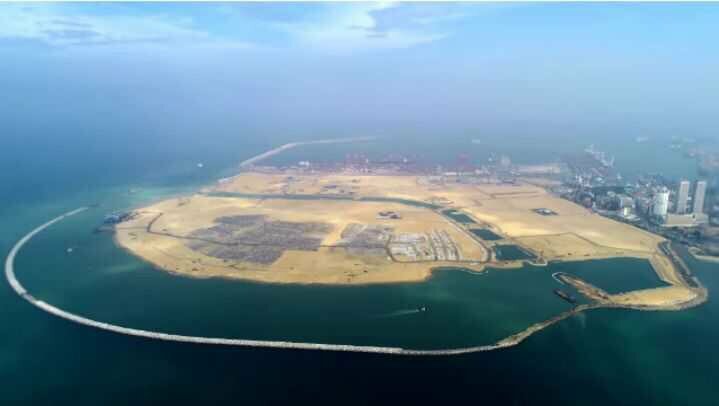 Again, the Chinese-funded mega $1.4 billion Colombo Port City has just completed the reclamation of land from the sea and will soon be ready for the second phase. Investment opportunities are opening up in a big way. The dismal experience over the East Container Terminal project of the Colombo Port shows once again that Sri Lanka is highly sensitive about Indian investments or management of strategic sectors of the economy. Paradoxically, one way of overcoming phobia could be be by joining hands with China and to jointly undertake such projects. The proposed West Container Terminal project of the Colombo Port could provide the opportunity to take such a leap of faith towards what Beijing calls the “China-India Plus” mode of cooperation. davidau, Equation, taxiya and 7 others like this. Italy would be the first G-7 country that signs up for China's OBOR initiative. It's a start, over time, more western countries will embrace it. Who knows, maybe it will trigger another around of fits from Washington, like the AIIB fiasco and current Huawei scandal. Italy is preparing to become the first G7 country to formally endorse China’s controversial Belt and Road global investment drive, in a move that has drawn a sharp response from the White House and causing alarm in Brussels. Michele Geraci, undersecretary in the economic development ministry, told the Financial Times that Rome planned to sign a memorandum of understanding to support the contentious infrastructure programme by the end of March during a visit to Italy by Chinese president Xi Jinping. The move, however, has drawn a critical reaction from the White House, which said the project was unlikely to help Italy economically and could significantly damage the country’s international image. Mr Marquis said US officials had raised concerns about what he called the negative effects of “China’s infrastructure diplomacy”, and urged “all allies and partners, including Italy, to press China to bring its global investment efforts into line with accepted international standards and best practices”. China’s BRI plan aims to finance and build infrastructure in more than 80 countries in Eurasia, the Middle East and Africa. But the US and big European countries are concerned it favours Chinese companies, creates debt traps for recipient states and is being used to further Beijing’s strategic and military influence. Several central and eastern European countries, as well as some states in Asia, the Middle East and Africa, have agreed to sign bilateral memorandums supporting it. The documents are typically confidential and the exact commitments made are unclear, but they often include phrases confirming that the country “highly appreciates and supports the BRI”. Italy’s support for China’s BRI would undercut US pressure on China over trade and would undermine Brussels’ efforts to overcome divisions within the EU over the best approach to deal with Chinese investments. Italy is a founding member of the EU. Mr Xi is due to arrive in Italy on March 22 on his first visit as president. He is scheduled to meet Sergio Mattarella, the Italian president, and attend a state dinner that evening, according to Mr Mattarella’s office. The Chinese leader is also expected to meet Giuseppe Conte, Italy’s prime minister, and attend a military ceremony before travelling to Sicily. The visit would immediately follow an EU gathering on March 21 in Brussels during which EU member states intend to debate developing a common approach to Chinese investments into the bloc. A separate summit in the Belgian capital with representatives from Beijing is scheduled to take place on April 9. An EU spokesperson on Wednesday said all member states needed to “ensure consistency with EU law rules and policies and to respect EU unity in implementing EU policies”. The spokesperson noted that while some bloc member states had signed Belt and Road commitments, others — and the EU itself — had not done so. “It is common knowledge that we would also like to see more regarding implementation of China’s commitment to transparency and to a level playing field for trade and investment based on market rules and international norms,” the spokesperson said. Chinese investments have become increasingly contentious in the EU. Diplomats in Brussels and influential western European capitals have long worried the 16+1 grouping of China and central and eastern European states, including 11 EU members, is a Trojan horse to divide the bloc. Beijing has denied this suggestion. EU member states such as Germany and France have pushed for tougher screening criteria for Chinese investments. They want the bloc to develop a more unified strategy amid rising tensions over the security implications of using Chinese technology from companies such as Huawei, the telecoms group. Other countries including Greece and Portugal, where Chinese groups have invested billions of euros since the financial crisis, have adopted a more lenient approach. Theresa May, the UK prime minister, last year refused to offer written support to the BRI during a trip to Beijing after weeks of diplomatic tension. Zhang Yesui, National People’s Congress spokesman, said this week that 67 countries had signed up to the BRI in the past year or so. That would bring the total number of countries or international organisations that have formal endorsements to 152. Mr Zhang stressed that decisions were taken jointly between China and its partners. mr.bean, zealotaiur485, advill and 7 others like this. yes and add the latest boeing max 8 to that list, China was the first to ground the aircraft, then after some minor resistance there was a cascade of others that followed suit. Aside from Italy, I am looking at the rest of the PIGS to follow suit on OBOR， as well there are a few Balkan and eastern european countries that may also jump in. The returns are too good for them to not consider. Yodello, Equation, zealotaiur485 and 2 others like this. Greece is already part of OBOR, MOU signed August 2018. Portugal made the intension known in December 2018 before Italy. With Italy (one of the big WE economies) joining (and shielding the pressure for whoyouknow), Portugal would not be afraid to move forward soon. In Eastern Europe, Czech has been one since 2015. In deed Italy's coming onboard could be a trigger to domino card just like UK's joining AIIB as the first major western economy. mr.bean, Yodello, Nutrient and 4 others like this. This is published in today's Financial Times. Mr. Geraci had been teaching and working in China for ten years before he was called back to Italy to take a government position. The last highlighted part of the article reminds us the Huawei debate currently raged all over the world, raising the awareness of Huawei's brand and technology strength in particular and China's in general. As Chinese president Xi Jinping arrives in Italy on Thursday, my country is poised to sign a memorandum of understanding to support Beijing’s Belt and Road investment programme. Public debate over the Italian government’s actions has been intense, with much criticism of Rome’s move. Let us look at numbers and facts. Among large EU countries, Italy does the least business with China, exporting only €13bn in goods in 2018. France exported 58 per cent more and Germany seven times that amount. During the past 15 years, the UK has attracted €90bn of Chinese foreign direct investment and Germany €45bn, while Italy had only €22bn. The statistics are even starker for greenfield projects, which generate more new jobs. Chinese companies have created 35,000 jobs in the UK and 20,000 in Germany, but only slightly more than 3,000 in Italy, according to fDi Markets. Yet Italy has invested €20bn in China and created about 75,000 jobs. That is because Chinese companies have mostly acquired existing businesses, while Italian companies mainly invested in greenfield projects. The map of Chinese investment is dotted with European ports including Piraeus, Valencia, Marseille, Bilbao, Le Havre, Rotterdam, and Malta. But the only Italian port is Vado Ligure. Finally, the German city of Duisburg is closely connected to China. In other words, the new Silk Road is already in Europe. So why has Italy suddenly attracted so much attention? We are the first G7 economy to sign an MoU on the BRI, taking a leading role in Europe on international trade and investments. Given that we have not been previously prominent in this area, I understand why Brussels is surprised. But Italy has historically played a strategic role in the Mediterranean and seeks to be part of the new Silk Road and other EU-Asia projects. Being a leading country means to lead, not be led. Our MoU is the first of its kind. It contains language and concepts that bring BRI projects closer to EU best practice on issues of climate change, transparency and making sure the playing field is level. We are protecting our national interests and strategic assets, while helping China to engage with international best practices. To me, this represents success for Italy, for Europe and for China. About half of EU members have already agreed to participate in the BRI. Italy is just the first large economy. The criticism of us is similar to what happened when the UK joined the Asian Infrastructure and Investment Bank. Many other countries in Europe and elsewhere followed suit. I hope that the Italy-China MoU could be a template for other EU countries and improve the negotiated standards between the EU and China. The Italian government has already achieved another important goal: our people are discussing our role in international trade, the strategy we should use, how to do business with China and how to prepare for the digital revolution. Up to now, Italians had not been fully aware that China was becoming the world’s strongest economy, producing high-quality technology products and leading in that sector, green energy and rail transport. China’s economic performance is positive for the world, and Italy would like to be part of it. China’s efforts to build its economy will put Italy’s and Europe’s historical manufacturing advantage at risk. Italian public opinion and our smaller businesses need to wake up from their lethargy to work with China. We must also protect the small-micro enterprises that form our country’s economic tissue. They are vulnerable to the Darwinian effects of uncontrolled globalisation. I hope President XI’s visit will further strengthen the ties between Italy and China: two countries that, since Marco Polo’s time, have a long-lasting friendly commercial relationship, built and developed along the Silk Road. "China's military not ready 'to fight and win future wars,' new report says"